Our expertise across insight analysis, design, development, deployment and promotion of the best interactive content around the world, enables brands to get fit for the future, no matter where we join them on their journey. To do this requires a unique culture capable of supporting a team of designers and developers that use diverse techniques to form a soul of the game and then create the best environments for it to run on. Providing the perfect blend of thrill with inspiring interactivity takes our clients further and faster on their digital journey, delighting customers on the way. This approach embraces the creative tension between left brain and right brain. We believe that when you combine data and storytelling – when mathematicians and poets join forces – you get more powerful results. 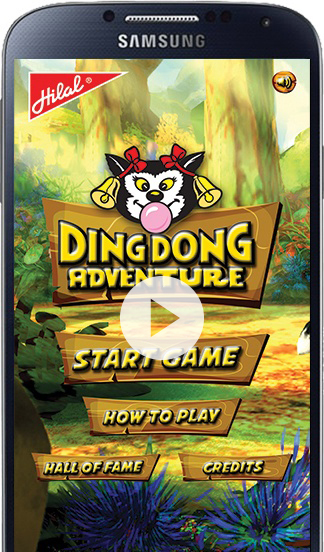 Ding Dong Adventure Game from Mediaidee Network on Vimeo. Turning the Iconic Cat into a medium for today’s active and digitally savvy kids. Creating engagement and interactivity with its consumers like never before. We give you everything you need for greatness.